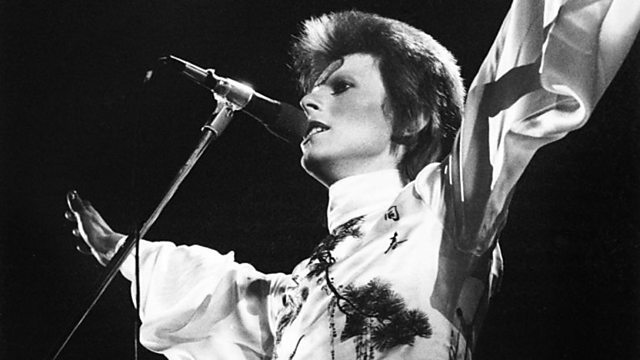 As David Bowie's 65th birthday approaches [Sunday 8 January], Radio 2 revisits this celebration of the iconic popstar. Mark Radcliffe hears from performers who have been inspired by Bowie and his music, including Boy George, Peter Hook, Marc Almond, Annie Lennox, Debbie Harry, Guy Garvey, Jarvis Cocker and Ricky Gervais. This clip explores Ziggy Stardust's explosion onto the pop landscape. Inspirational Bowie was first broadcast in January 2007 and has been updated to reflect the singer's latest milestone. The very best of the week's audio and video clips from BBC Radio 2.